Are you looking for a friendly reliable plumber? We believe in taking the worry away from our customers by handling their plumbing problems in a timely manner. We are focused on providing quality workmanship and superior customer service for every plumbing project. Whether you have a minor leak, or you need comprehensive plumbing service and repair, we are available to provide the trusted plumbing services you need. Our professional plumbing contractors can fix anything; from clogged drains, to water heater leaks, and much more! When it comes to plumbing, we always come prepared! At Midwest Plumbing, our plumbers provide fast efficient bathroom plumbing services, from new construction to clogged drains. Rest assured that if you are in need of bathroom plumbing services, we can provide you with trusted service you can rely on. 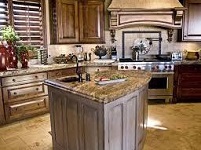 The kitchen is the center of the home as well as the center of a home’s plumbing. Kitchens are filled with a multitude of fixtures, from sinks to dishwashers to ice makers, and it is important for them all to be functioning properly. The water heater is an important piece of any functional house. Such tasks as washing dishes, cleaning the home, and taking a shower can be miserable if the water heater is not functioning correctly. 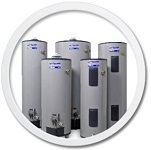 If you notice any water heater issues, we are Midwest Plumbing can help. 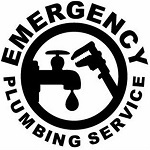 Plumbing emergencies do not discriminate and do not wait for a good time to occur. No matter when a plumbing issue arises, we’ll come to your rescue. Emergency repair is one of our specialties and we can turn that emergency into a repair quickly so you can quickly move onto the rest of your day.